Well good day, mate! It's a beautiful morning in the outback of Australia! I'm just hopping around today running some errands, taking my little joey with me wherever I go because I am a protective momma. I'll pounce on anything and everything. I'll pounce on a dandelion just mindin' its own business; I'll pounce on a small child just mindin' its own business. I'll pounce on a car just idling in some parkin' lot, if it seems right good and springy! I'll pounce on other 'roos if they look at me or joey wrong. I'll pounce on people and cars, I'll bounce for the moon and the stars, and I'll pounce on a bull if it decides to charge! That's just that, mate. It's just how it's gonna be. 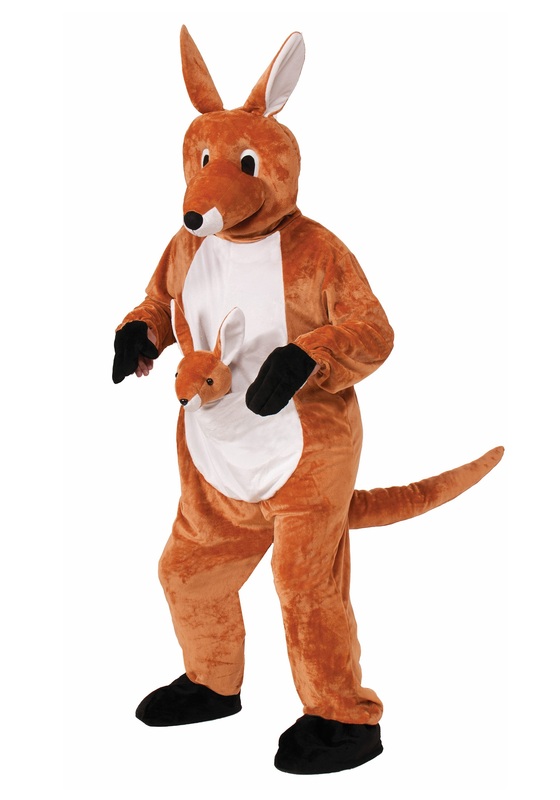 Sorry, sometimes we lose ourselves in the moment when we don these over-head mascot costumes. They just get us jacked up, like we could stop the world with the force of our thighs, and we can't stop. Call that weird or whatever you want, but it could be a positive infectious trait. 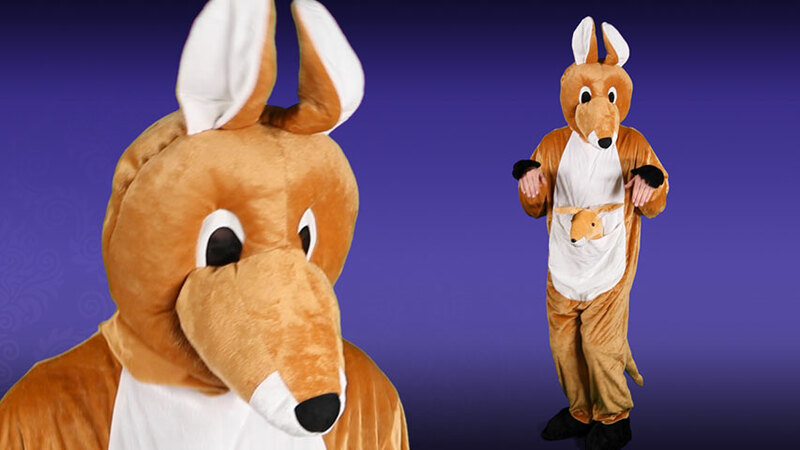 Specifically, you could pounce on the competition when you wear this cool Jumpin Jenny Kangaroo Mascot Costume! When the team sees you bouncing into the air off the opposing mascot's shoulder blades, they'll likely be either concerned or amped up to do the same to their opponents. Let's hope for the latter. Metaphorically, of course.